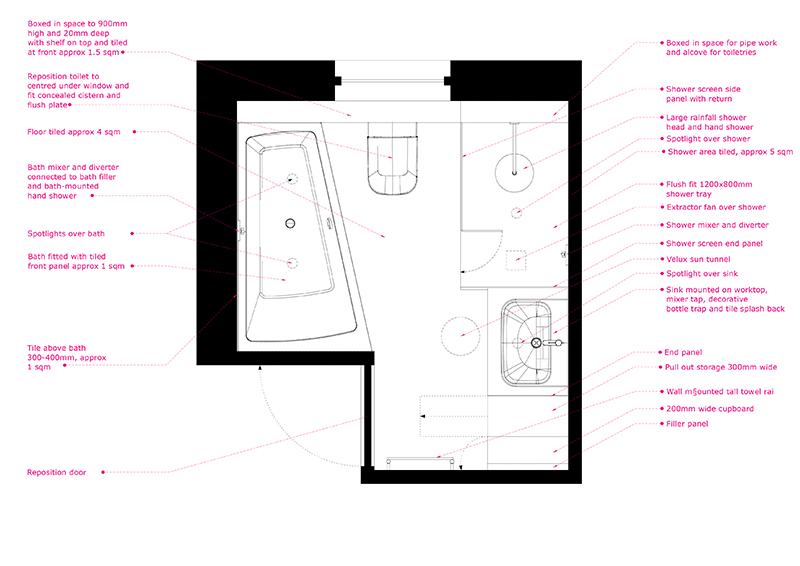 A reconfiguration of an existing bathroom to allow a separate bath and shower. 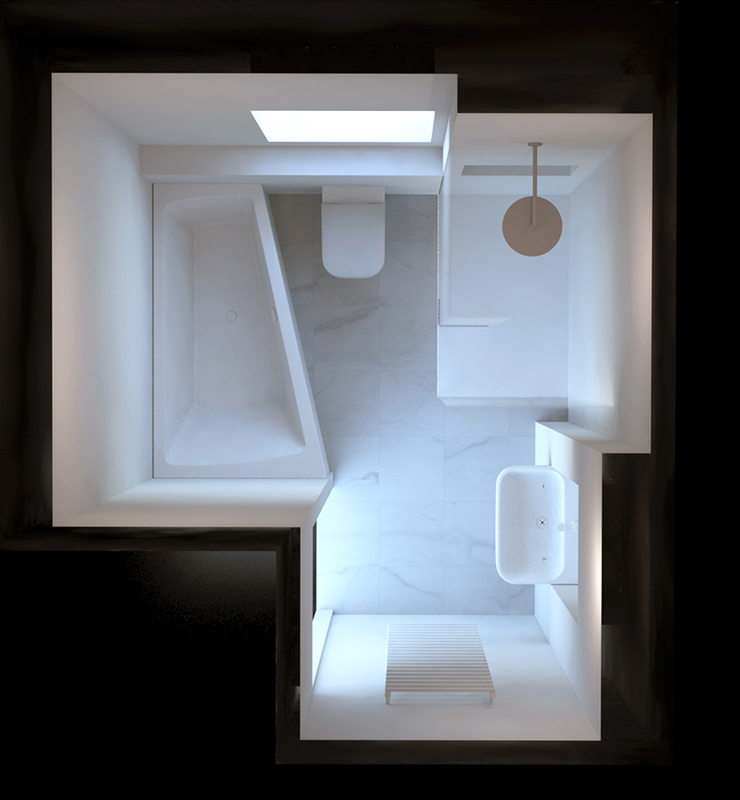 Studio Gennaio repositioned the door to allow a better use of space, and sourced sanitaryware to perfectly fit the space, including a tapered bath which improves the navigable space. The design includes a large amount of built-in storage for maximum tidyness!